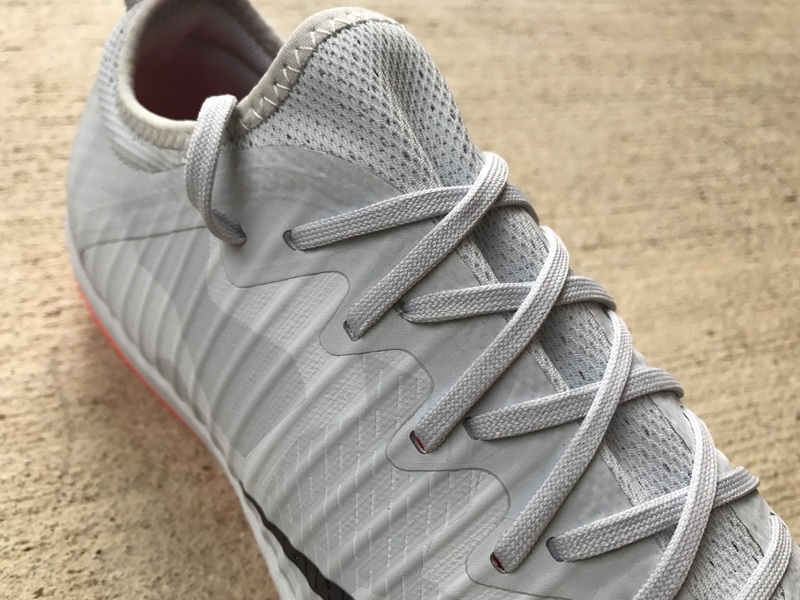 We are in the midst of indoor season, and there is sure to be a lot of players looking to find their next IC specific shoe. With many top options available, we wanted to compare two of the most talked about right now. For Nike it is the special edition MercurialX Finale II, a shoe defined by the ideals of speed and quick feet on the court. From adidas it is the Nemeziz Tango 17+ 360Agility and it’s incredible laceless styling. Both offer a similar type of fit and feel, with their own set of individual traits. Check availability details of the Nemeziz Tango or the MercurialX Finale. Nike use their Nikeskin synthetic upper on this one, with mesh around the ankle and through the lace area for extra breathability. The upper provides a secure fit with little stretch though the forefoot. 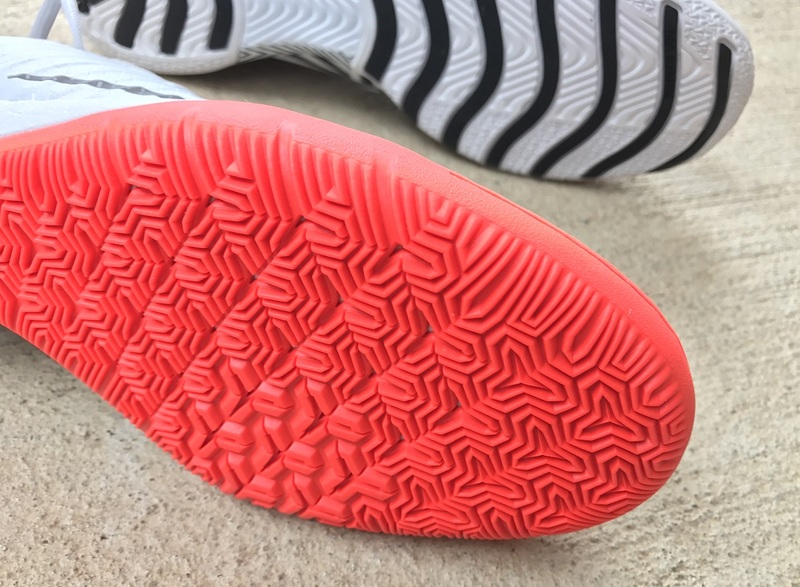 The stretch you get comes through the lacing, but other than they the size you get from first wear is what you can expect. The upper is a combination of the Agility Bandage System and 360Torsion Tape. The Agility Bandage system offers a compression fit all through the foot, creating a true second skin fit. The 360Torsion Tape offers lateral and medial support, giving you everything you need to cut and change directions in a laceless cleat. Nike has gone with raised ribs along the upper, right from the front through to the heel. It provides some added definition to cushion the ball in different ways, pending where you connect with the ball. adidas and the Agility Bandage upper provides a way different experience on the ball. The added stretch in the relatively thin material offers plenty of natural feel on the ball. Where the FG version can prove problematic to other players studs, things are different on the indoor version. There isn’t a whole lot of difference in weight, definitely nothing you will notice in game. 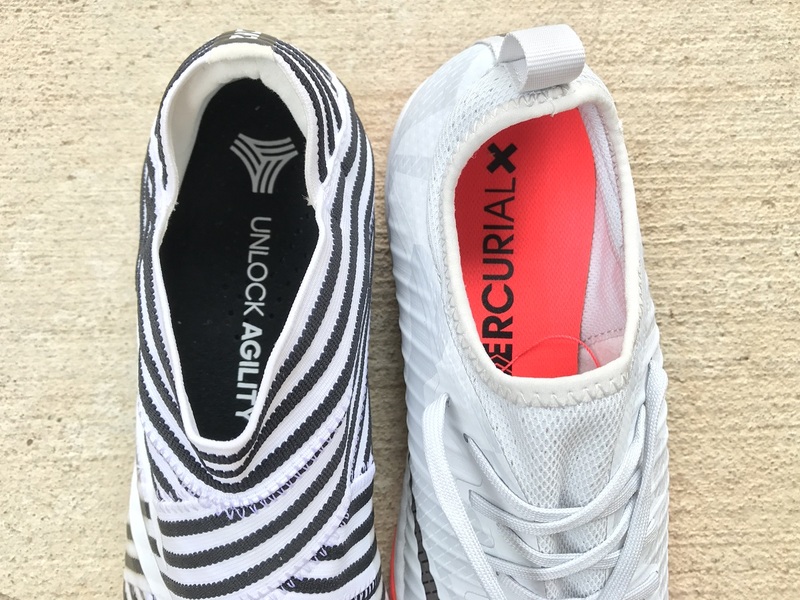 The MercurialX checks in ever so slightly lighter at 8oz, compared to Nemeziz at 8.2oz. 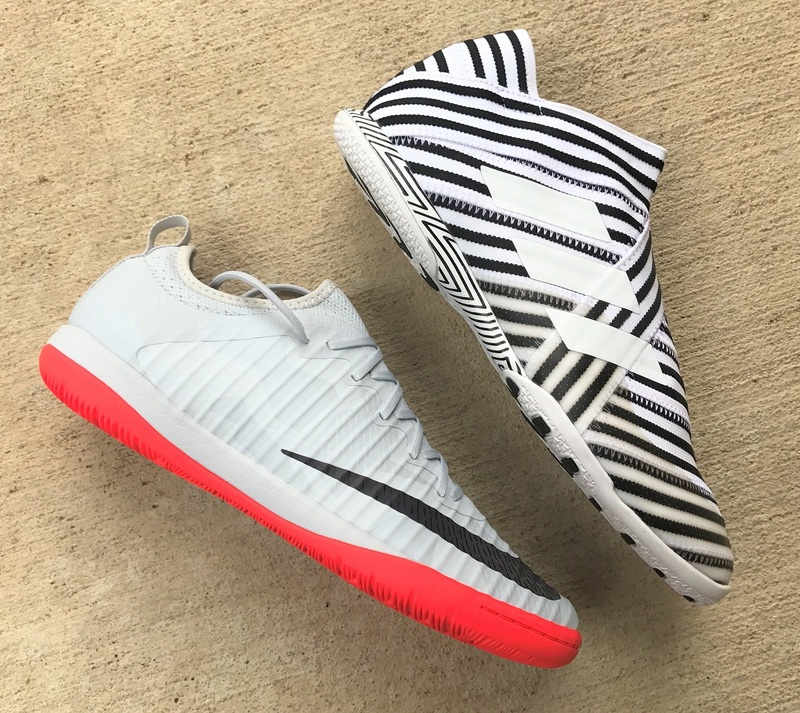 There is no doubt the Nemeziz is the more unique of both shoe, with the zig-zag style offering a stand out effect. This is the styling we are bound to see throughout the series, unless adidas choose to go single tone bandage. In comparison, Nike has gone with a crisp color combo of off-grey and solar orange. The swoosh also has a color changing effect, switching from Black to Violet as the light hits it. Whichever boot you go in this instance, the provided traction on IC (indoor courts) is going to be top performing. Nike stick with their unique honeycomb style traction, although the design kind of looks like the adidas tango logo. Either way, the multi directional grooves allow for solid grip through quick cuts and turns. adidas take a slightly different approach with flat black streaks running across the sole, adding extra grip when you look to brake and switch direction. Having had the opportunity to wear both on IC, I can tell you that you won’t be disappointed by the traction provided by either shoe. This is the area where both boots are substantially differentiated. Because of their tech heavy design, the Nemeziz Tango checks in at $199.99. In comparison, the MercurialX Finale priced at a much more realistic $114.99. 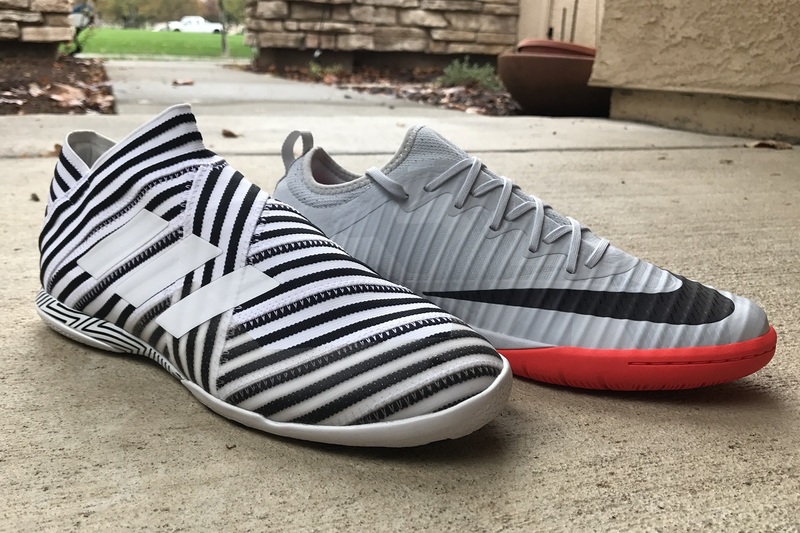 In reality, you could probably pick up two pair of MercurialX for the price of one Nemeziz. This one is pretty easy. 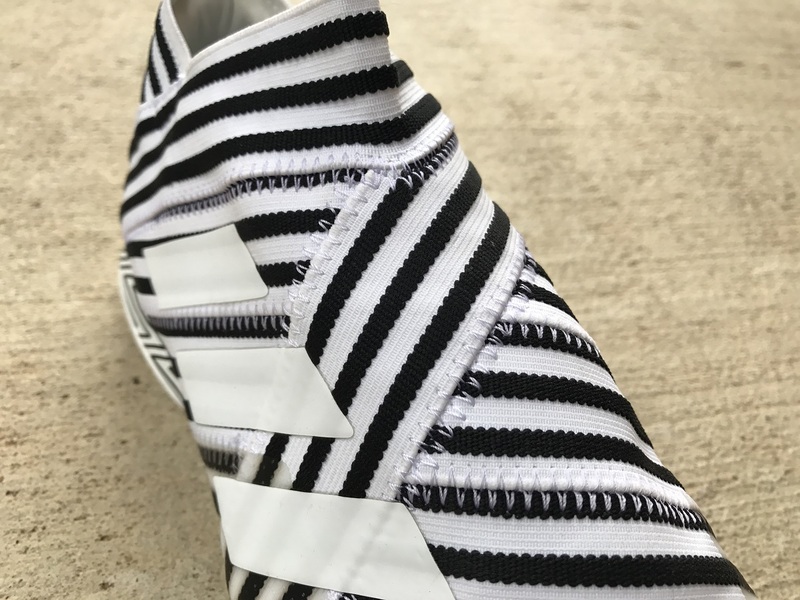 If you value technical details and have enough to spend on a laceless style boot, the Nemeziz is going to be where you money is headed. Do they offer value for money? I’m not going to go that far but what they do offer is something you can’t find on any other indoor shoe; a a compression fit without laces. In comparison, the special edition MercurialX Finale offers a more affordable package in what is, in my opinion, a better looking silo. Visually, they are much more simple and can easily be worn as a tidy street shoe. 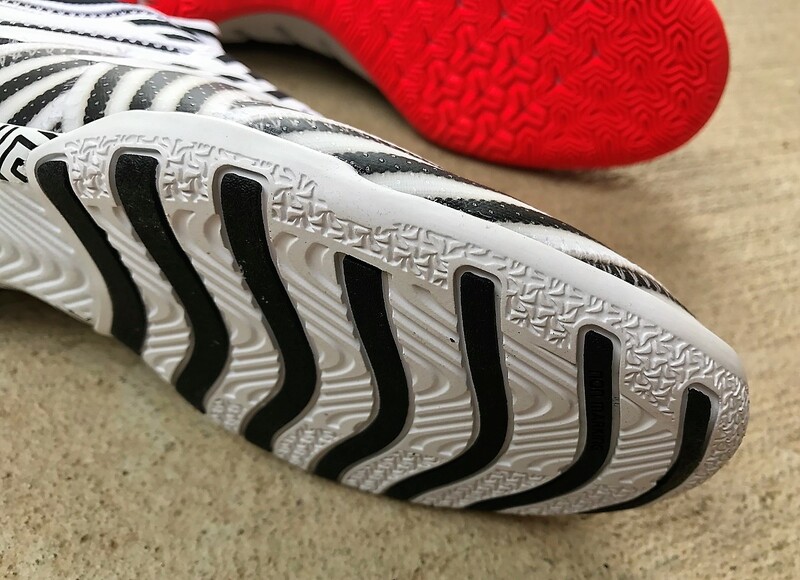 The added texturing through the forefoot might be more useful to players that want some additional cushion to control quick passes. 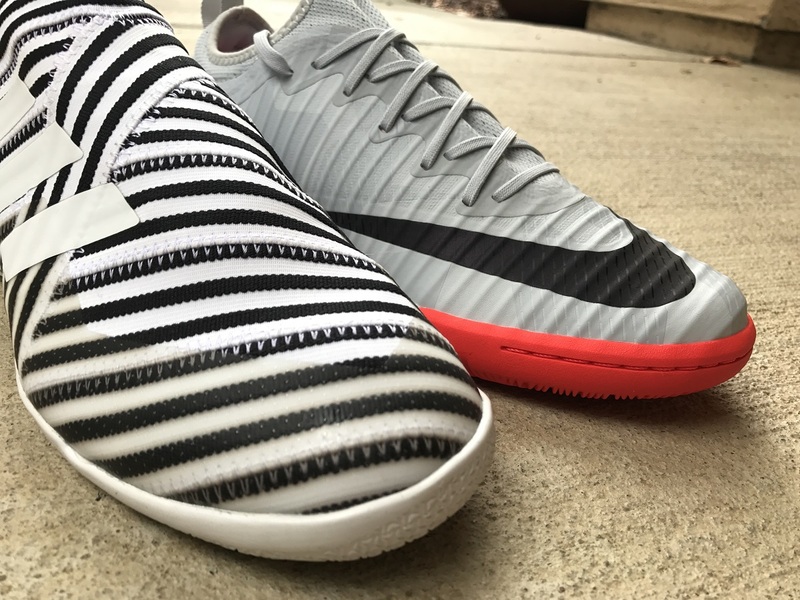 You can find both boots currently available, as well as other top rated IC shoes, at soccer.com.